2012 British Supersport runner-up Jack Kennedy has attained a ride in World Supersport with Russian squad Rivamoto on a Honda for the 2013 season. Kennedy made it very clear at the end of the 2012 season that his intentions were to move up to either BSB or World Supersport. The choices of decent rides in World Supersport will have been far more vast compared with BSB (as you can see here). He was seen testing a Honda CBR600rr in Jerez last month at the official World Superbike test, though it was not explicitly reported which team he was testing with. After Jack and the team both being happy with his performance and progression on the Honda, the Rivamoto Team, managed by Irish racing legend Jeremy McWilliams, decided to take Jack on in their championship bid. 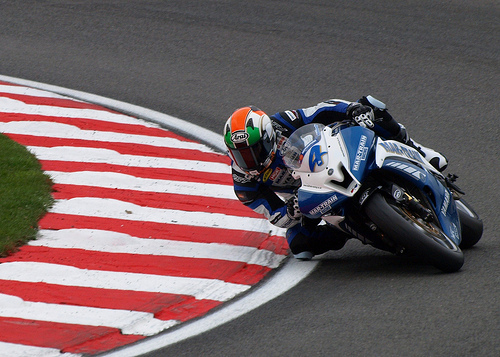 The popular Irishman spent the last 4 years in British Supersport, going from strength to strength every year, up until a serious injury halfway through the 2011 season, which halted his championship fight. He returned in 2012 to take part in the continuing trend of British Supersport, a seriously fierce championship battle, this time with Aussie veteran Glen Richards. Kennedy missed out on the championship by less than 10 points, in the final race of the season, which saw both championship contenders fail to finish the race; Richards with a crash, and Kennedy with a mechanical failure.